Complete with motor, pump, oil tank, manifold block, pressure gauge, pressure switch, valves and electrical system. 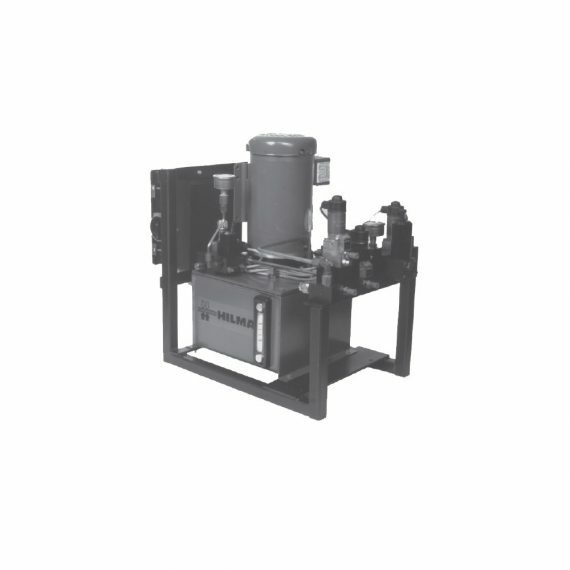 The radial piston pump is bi-directional and fixed displacement. Zero leakage poppet type directional valves. Electrical system is to US standards. The oil level and temperature sensor is standard. Optional equipment includes remote control pendant and machine safety pressure switches. 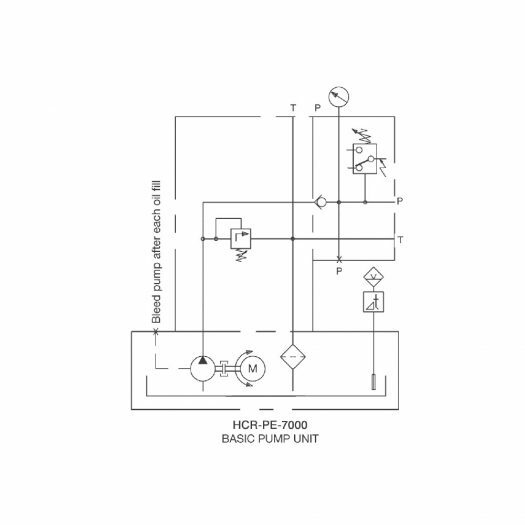 Pump frame is standard on three valve power units.